For Charles Olson, letters were not only a daily means of communication with friends but were at the same time a vehicle for exploratory thought. In fact, many of Olson's finest works, including Projective Verse and the Maximus Poems, were formulated as letters. Olson's letters are important to an understanding of his definition of the postmodern, and through the play of mind exhibited here we recognize him as one of the vital thinkers of the twentieth century. In this volume, edited and annotated by Ralph Maud, we see Olson at the height of his powers and also at his most human. Nearly 200 letters, selected from a known 3,000, demonstrate the wide range of Olson's interests and the depth of his concern for the future. Maud includes letters to friends and loved ones, job and grant applications, letters of recommendation, and Black Mountain College business letters, as well as correspondence illuminating Olson's poetics. As we read through the letters, which span the years from 1931, when Olson was an undergraduate, to his death in 1970, a fascinating portrait of this complex poet and thinker emerges. Charles Olson (1910-1970) is best known for his book on Melville, Call Me Ishmael; his poetic manifesto, Projective Verse; and The Maximus Poems. He was the dynamic leader of what has come to be known as the Black Mountain school of poets, named for Black Mountain College, the experimental school where Olson was a presence from 1948 until its closing in 1956. The University of California Press has published several books of Olson's poetry, including The Maximus Poems (1983), The Collected Poems of Charles Olson (1987), and Selected Poems (1993), as well as Olson's Collected Prose (1997). 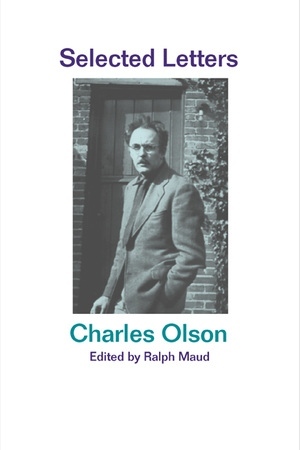 Also available from California is A Guide to the Maximus Poems of Charles Olson by George F. Butterick (1978). Ralph Maud has been reading and teaching Olson ever since he met the poet in 1963, at the beginning of the two years they both taught at the State University of New York at Buffalo. Maud is the author of Charles Olson's Reading: A Biography (1995) and What Does Not Change: The Significance of Charles Olson's "The Kingfishers" (1997). He is Emeritus Professor of English and Associate of the Institute for the Humanities at Simon Fraser University, British Columbia.